(Phys.org)—Taxol is the most well-known anti-cancer drug, and has proven remarkably effective against a variety of cancers since the 1970s. It's a natural substance, derived from the bark of yew trees, and as such, its molecular structure is remarkably complex and accounts for its mechanism of action: In 1977, a study revealed that Taxol can bind to the microtubule assembly of a cell, stabilizing the microtubules, which prevents shrinkage and prevents the segregation of chromosomes that accompanies slow cell division. Because it was derived from natural sources and was difficult to synthesize, supplies of Taxol were initially constrained; eventually, private sector researchers figured out how to extract a precursor of Taxol from common yew trees and apply chemical synthesis technologies to produce the drug. Currently, Bristol-Myers Squibb uses a cell culture method to produce Taxol. With an eye on the future, researchers believe that metabolic engineering is the most promising vehicle for producing complex molecules including pharmaceuticals, nutraceuticals, flavors and fragrances. Metabolic engineering entails leveraging the genetic and regulatory systems of individual cells to produce a desired substance—in essence, to transform existing cells into tiny industrial factories. Taxol is regarded as an extremely likely candidate for such biosynthesis. An international collaborative of researchers recently published the results of a study in the Proceedings of the National Academy of Sciences seeking to overcome some of the existing hurdles to metabolic engineering, and chose a specific Taxol precursor as their subject. Recognizing the need for new classes of metabolic chemistries including polymerization, cyclization, and glycosylation, they sought to systematize high-level oxygenation chemistry in E. coli using the cytochrome P450 enzyme—commonly used in nature for molecular oxygenation. Cells use a particular system to construct complex molecules. First, they build a scaffold by polymerizing and cyclizing basic metabolic building blocks. Once this scaffold is in place, tailoring enzymes "decorate" the molecule with moiety functional groups—basically, molecule parts that do stuff—and these functionalizations have a hierarchy in which oxygenation, mediated by enzyme P450, is prominent. P450 is widely found in natural metabolic chemistry because it has a unique capacity to selectively oxygenate inactive carbons, which also makes it particularly suitable for molecular biosynthesis. The researchers were not seeking to produce Taxol, a truly Herculean undertaking; rather, they were attempting to systematize the third step in biosynthesis of the drug. They engineered P450-mediated catalysis in E. coli and demonstrated for the first time that the bacteria is a suitable host for plant P450 chemistry. They write, "Ultimately, this work advances Taxol metabolic engineering, which has seen stagnation over the past half-decade." They did discover that a high expression of a single pathway module that affected upstream enzyme expression and undermined the overall performance of their molecular system. The exact cause is unknown, but they speculate that it could be the result of the P450 enzyme monopolizing certain resources that are required at later stages. They write, "Work remains to fully elucidate the Taxol pathway, which increasingly appears more complex than originally thought… This work lays a foundation for faster and more efficient expression of P450 enzymes in vivo in E. coli, with the hope that in the near future we will see wide-scale application of biosynthesis of complex and valuable natural products." Recent advances in metabolic engineering have demonstrated the potential to exploit biological chemistry for the synthesis of complex molecules. Much of the progress to date has leveraged increasingly precise genetic tools to control the transcription and translation of enzymes for superior biosynthetic pathway performance. However, applying these approaches and principles to the synthesis of more complex natural products will require a new set of tools for enabling various classes of metabolic chemistries (i.e., cyclization, oxygenation, glycosylation, and halogenation) in vivo. Of these diverse chemistries, oxygenation is one of the most challenging and pivotal for the synthesis of complex natural products. Here, using Taxol as a model system, we use nature's favored oxygenase, the cytochrome P450, to perform high-level oxygenation chemistry in Escherichia coli. An unexpected coupling of P450 expression and the expression of upstream pathway enzymes was discovered and identified as a key obstacle for functional oxidative chemistry. By optimizing P450 expression, reductase partner interactions, and N-terminal modifications, we achieved the highest reported titer of oxygenated taxanes (∼570 ± 45 mg/L) in E. coli. 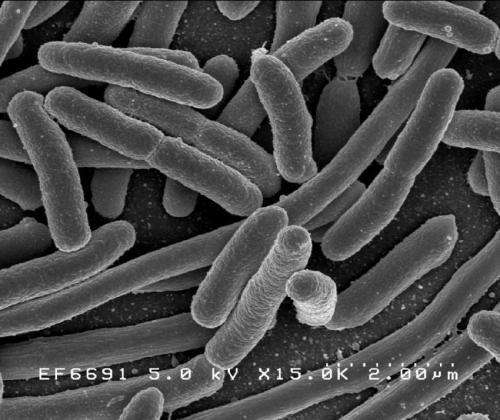 Altogether, this study establishes E. coli as a tractable host for P450 chemistry, highlights the potential magnitude of protein interdependency in the context of synthetic biology and metabolic engineering, and points to a promising future for the microbial synthesis of complex chemical entities.